The Campaign for Wool announces the world’s largest showcase of wool at Somerset House! 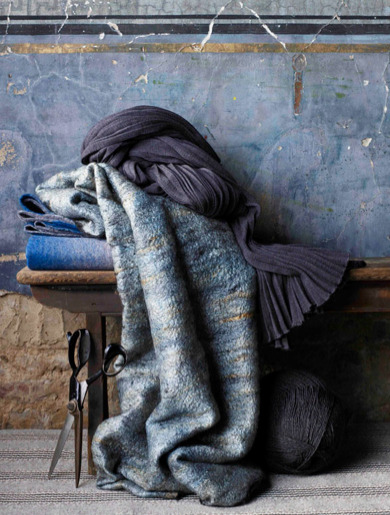 From 13-24 March 2013, The Campaign For Woolwill be launching Wool House: a showcase of top interiors, fashion designers, artisans and craft-maker all presenting a vision for wool as a modern, versatile, lifestyle fibre. The entrance of Wool House will be styled like a grand country house, with a carpet inspired by a classic marble floor tile pattern and created by Alternative Flooring Bespoke. Unique pieces will embellish the house including Shauna Richardson’s unusual ‘crochetdermy’Bear that has previously been exhibited at the V&A which will take pride of place in the entrance of Wool House. While Andy Warhol influenced sheep head images will be displayed on the walls of the hall. There will be three rooms dedicated to fashion, including a space showcasing fine woven fabrics and live tailoring while two others will celebrate the importance of wool in the fashion industry. A series of wool-led designer talks, events and a programme of activities with interactive workshops will be held during the course of the event. Wool House is at Somerset House from 13-24 March 2013. Entry is free.